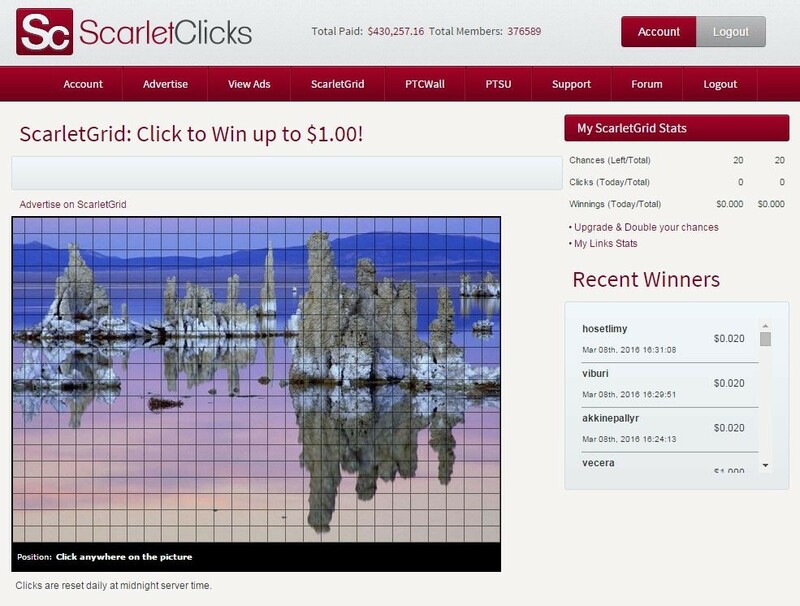 Scarlet-Clicks is a PTC site that offers its members an opportunity to earn extra money online by viewing advertisements. 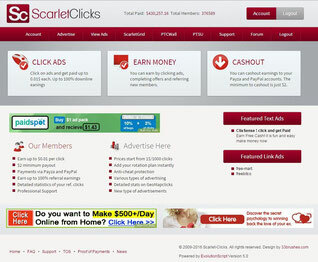 Scarlet-Clicks has passed the test of time and has proved to be a stable and paying site. 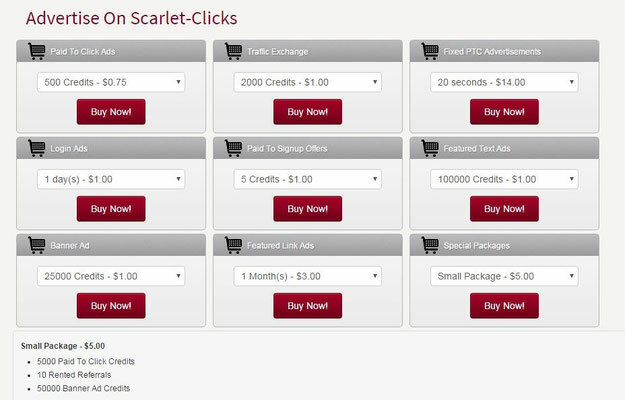 It has been more than 6 years since the beginnings of Scarlet-clicks. So far they are paying without major issues. Initially they started as Aurora site, but later they switched scripts and introduced some features from the Bux model, such as rented referrals and expensive upgrades. Today we've reached another massive milestone!We have paid more than 2 million USD to our members! Our next goal is to reach 1,000,000 members and with your support i hope that we will reach this number soon. In order to celebrate this achievement we are going to have a deposit bonus promo. Remember that this bonus is only for adding funds to your Scarlet-clicks purchase balance. The bonus will get added automatically with your deposit. Add more than $2000 and get 30% bonus. Add more than $5000 and get 40% bonus. Remember that this bonus is only for your purchase balance and will not get added if you purchase adpacks. Also the bonuses will get automatically for your deposits except the deposits made via Skrill and Neteller.The bonuses for Skrill/Neteller deposits will get added manually when we approve the transaction. I hope that everyone has a great time during the Summer. Discount on Yearly Upgraded memberships! Today our first summer promo starts for 2018! From today until the 1st of August 23:59 server time there will be a discount on all Yearly memberships. You can take advantage of this promo in order to extend your membership or upgrade your membership. I hope everyone is good and i wish you a great summer! Few days ago we had our 9th years anniversary! These years we came across a lot of issues like script bugs,payment processors issues etc but we managed them and we always did our best to provide the best services possible. I want to thank you all for the trust you show to me personally and to all of our staff. The past months were really tough for the sites,with Paypal loss and now with Payza issues but as it told you earlier i am going to keep trying to keep the site stable and provide our services for many more years. In order to celebrate this anniversary and thank you for your support we are going to have a discount on our Yearly memberships. After a lot of planning we have decided to launch a new earning feature,Scarlet Shares. Each share costs $5 and when you buy a share you get some advertising credits as a bonus. Each shares grows to $6. Monthly Silver and Gold members can purchase up to 50 shares and earn up to 0.5% daily. Monthly Gold Plus members can purchase up to 100 shares and earn up to 0.7% daily. Yearly Silver members can purchase up to 100 shares and earn up to 0.7% daily. Yearly Gold members can purchase up to 200 shares and earn up to 0.7% daily. Yearly Gold Plus members can purchase up to 500 shares and earn up to 0.7% daily. Diamond members can purchase up to 1000 shares and earn up to 0.85% daily. We will use these funds to invest in several platforms,buy mining equipment and many more.Those are things that we are doing for several years now. I hope you enjoy this new feature and any suggestion would be highly appreciated. In order to celebrate St.Valentine's day and thank you for your love and support we are going to have a deposit bonus promo! 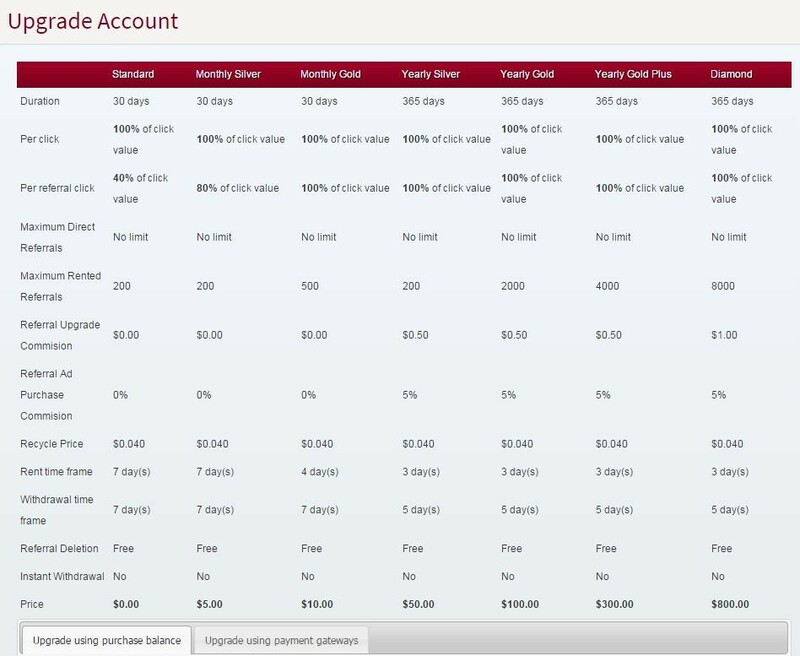 All bonuses will get added to your purchase balance automatically. The promo will end on the 14th of February 23:59 server time. 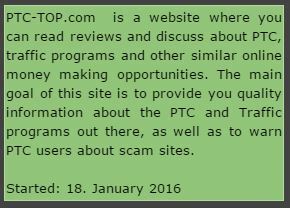 As most of you know i am in this business,as a website owner since 2009 when i launched Scarlet-clicks.In 2010 i decided to launch a second site,Gptplanet. In 2015 we launched Myadrotator in order to give the best advertising results as possible to everyone. After almost 10 years of me being a part of the online marketing and advertising industry am glad to announce that our new project has officially launched. The site is called OptimalBux and the url is https://www.optimalbux.com/ . I hope you like it and feel free to give me any kind of feedback. For the past 4 days our Scarlet-clicks Payza account has a technical issue.This is why you can not add funds via Payza and we can not send payments. We have already contacted Payza and we are waiting for the IT team to fix it,although it takes a lot of time but we can not do anything but wait. Since our Gptplanet Payza account is fully functional we will use this account in order to send your pending withdraws so you won't have to wait. Also if you want to add funds via Payza you can do it by 2 ways. First,if you have a Gptplanet account you can add the funds there and contact us via a support ticket to transfer the funds to your Scarlet-clicks account. Secondly,you can contact us via a support ticket on Scarlet-clicks and we will guide you on how to send the funds manually. This is a temporary measure until Payza fix their technical issue. 8th Anniversary Deposit bonus promo! In order to continue the celebration of the 8th Scarlet-clicks anniversary we are going to have a deposit bonus promo. From today until Saturday the 3nd of June 23:59 server time the promo will be active. This applies only for Scarlet-clicks deposits. In a few days Scarlet-clicks will become 8 years old! This is a huge milestone and we couldn't have achieved it without your support. As usual we will have a lot of promotions and discounts during May in order to celebrate this achievement. We start with a new promo. You can get 100 rented referrals at the price of $17 ($0.17 for each RR) plus 50,000 banner credits! This promo will end on the 5th of May 2017. For April we are going to have weekly point contests. So,from today the 1st of April until the 8th of April collect points and you might be the next winner. With every dollar you deposit via Perfect Money you will get 10,000 banner credits free in your account. For example if you deposit $2 then you will get 20,000 banner credits. If you deposit $100 you will get 100,000 banner credits to your account. In order to receive the credits you have to submit a support ticket after your deposit. The promo will end on the 2nd of March and this will be a great opportunity for you to advertise and enjoy our great banner advertising results. Today we have reached a very important milestone. We have reached $1,000,000 in payouts to our members! I would like to thank everyone for their support and trust over the years and what a better way to thank you but having your favorite promotion. So for [b]the 31st of January (from 00:00 until 23:59)[/b] we are going to have deposit bonus. 5% bonus to your purchase balance for deposits higher than $20. 10% bonus to your purchase balance for deposits higher than $100. 20% bonus to your purchase balance for deposits higher than $1000. The bonus will get added automatically after your deposit. This is only for Scarlet-clicks deposits. The bonus is per deposit,not for the total of your deposits during the promo. From today,the 29th of December until the 5th of January we are going to have a discount on our rented referrals. The price for more than 1500 RR will be fixed at $0,19 instead of rising up to $0,21.Remember that you can benefit from this discount even when you are extending your RR! I wish to everyone Merry Christmas and i hope that you enjoy your holidays! Since our membership discount promo has ended is time to continue our Christmas promos with our deposit bonus. Enjoy and have a nice time during the holidays! It's time to start our December discounts and promotions as we wait for Christmas. So,let's not waste any more time.Our first promo is the discount on premium memberships up to 20%. The discount will be available until the 15th of December. Hope you enjoy this promo and getting ready for Christmas holidays! I will edit this post since what happened was not even close to what we thought it was. Please read carefully since this affected most of you but i can assure that no one lost any money. In an attempt to fix the bugs that came up in the last couple of days our database "went crazy" and messed up the account and purchase balances of almost all members. At first reading your tickets we believed that some members just lost their account balances and we started adding the balances according to our latest back up which was today the 27/11 at 01:00 am. But when we started to investigate what caused all this we noticed that on some members,funds were added to their account and purchase balances!This caused many members to abuse this situation and start buying premium memberships,rented referrals and advertising credits. Unfortunately after hours of thinking on what is the best way to restore the accounts we decided that we must restore the balances from our latest back up otherwise we had to to manually add/remove balances for more than 5,000 accounts and on this time the site must have been down.This would take a LOT of hours and we couldn't afford that. 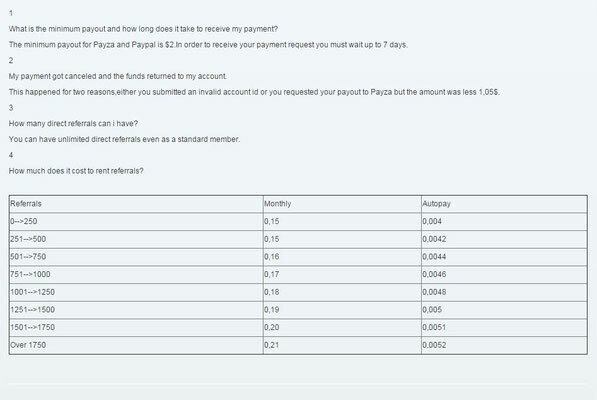 #1 All account and purchase balances were restored to what you had at 1:00 am on 27/11. #2 If you made a deposit until now we added it to your purchase balance,plus the deposit bonus. 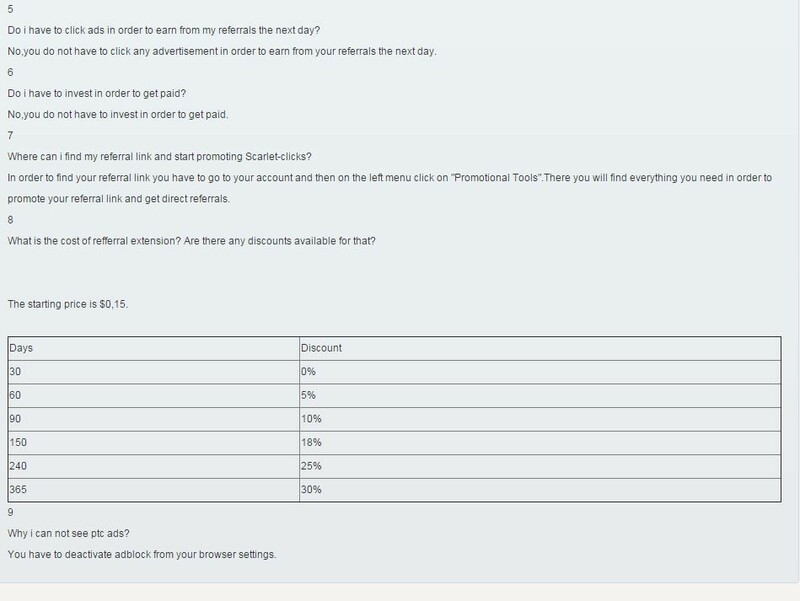 #3 You will notice that on the 27th you did not get any clicks from your rented referrals.We extended all rented referrals and all premium memberships for 1 day so you wont lose anything. #4 Finally since a lot of members that suddendly got funds in their account balances requested payments we had to refund all the withdraws that were made on the 27th of November. Now,if you made any order between 1:00 am and now this order is not registered and you have to do it again. The last couple of days we did a lot of upgrades on our server and on the script to improve the security of the site,added more ways to find cheaters and in general make the site better and faster. I know that some bugs came up but we fixed so in order to thank you for your support and your patience we are going to have cash back promo! From tomorrow the 24th of November until the 30th of November you will get a bonus for each of your deposits. Add $20-$100 and get 5% bonus. 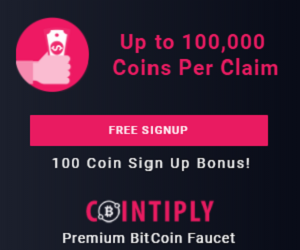 Add $100+ and get 10% bonus. Bonuses will be added automatically.In case they dont get added automatically please submit a support ticket and we will add it within 12 hours. Tomorrow on the 26th of October it's my Nameday! For this occasion we are going to have a cash back promo but ONLY for 24 hours. So,from 00:00 server time until 23:59 server if you add more than $100 to your purchase balance via our available processors you will get 10% back to your purchase balance. Bonuses will get added within 24 hours after your deposit and it's only for Scarlet-clicks deposits. From today until the 30st of June 2016 click as many ads you can,refer members and add funds to your account and you will be able to earn up to $300 to your account balance! A few days Scarlet-clicks turned 7 years old! This is another milestone we reached with your trust and support. In order to thank our members during May we are going to have a lot of promotions in both sites,Scarlet-clicks and Gptplanet. Our next milestone is to reach 500,000 members and i hope that we will reach it until the end of 2016. The discounts will be active until the 31st of May 2016. Bonuses will be added within 24 hours after your deposit and it's only for Scarlet-clicks deposits. Our first promo is the cash back promo! Add $100-$500 and get 10% bonus. Temporary measure for perfect money. For a limited time we will refund withdraws that come from members that withdraw to Perfect money but did not use Perfect money in order to deposit funds. We did not want to do that but a lot of members are requesting their payment to PM without using PM for deposits earlier and this is causing a delay on PM payments. I hope you understand and sorry for the trouble. From today until the 30th of April we are going to have for the first a purchase balance contest and win up to $300 to your account balance!